If you find shrines are too busy during the day, try them by night! Most are open late, and this could afford you a unique take from the typical, touristy experience. Fushimi Inari was one of our favorites, and it was top on my to-photograph list. When you visit Japan, unless you try explicitly not to, you’re bound to wind up at a few shrines. Fortunately, that’s ok, as every one is unique in their own way. If you really want to mix it up, try visiting them after dark. Check to make sure they’re accessible after hours, but if they are, this can provide a great opportunity to beat a lot of the crowds at some of the more popular destinations. It’s hard to visit Japan without visiting at least a few shrines, but they’re all so different and uniquely beautiful that it’s also hard to get bored doing so! It’s difficult to visit Japan without tripping over at least a dozen shrines and temples. 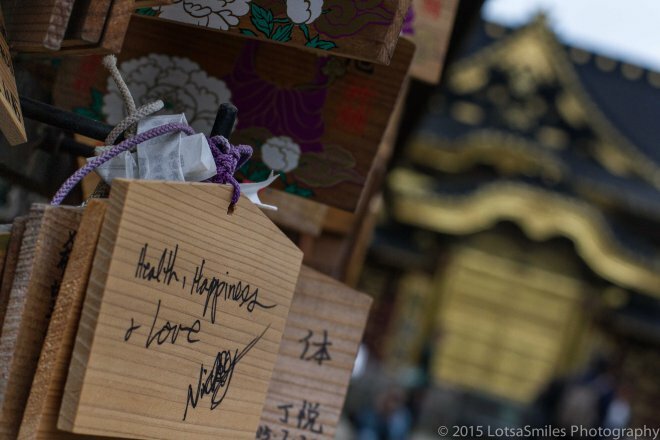 While most of the Japanese population wouldn’t consider themselves particularly religious, many practice the standard rituals of visiting shrines, saying a prayer, and drawing fortunes. The young go hoping for favorable test scores or new love; others simply wish for good luck and good health.